Seasoned gaming employee, new to affiliates and very enthusiastic. Seeking casino traffic from DE AT Scandies, CA and NZ.Looking to build and nourish relationships in the industry. Which area of online gambling do you find the most interesting and why? I love the live casino side, seeing all those dealers so nicely dressed and well presented, makes me imagine that I am there from the comfort of my living room. What is your opinion of Bitcoin? I think it's true impact remains to be seen. What are some of the skills you feel are important for any affiliate to master? Should affiliates and operators care about responsible gambling? What tools do you use to do your job? Which business or affiliate magazines do you read? Why should affiliates signup to your affiliate program? 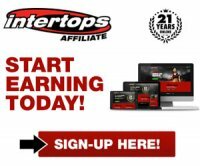 Earn up to 50% every month! Join Full Cream Affiliates or read the full review of the Full Cream Affiliates affiliate program.